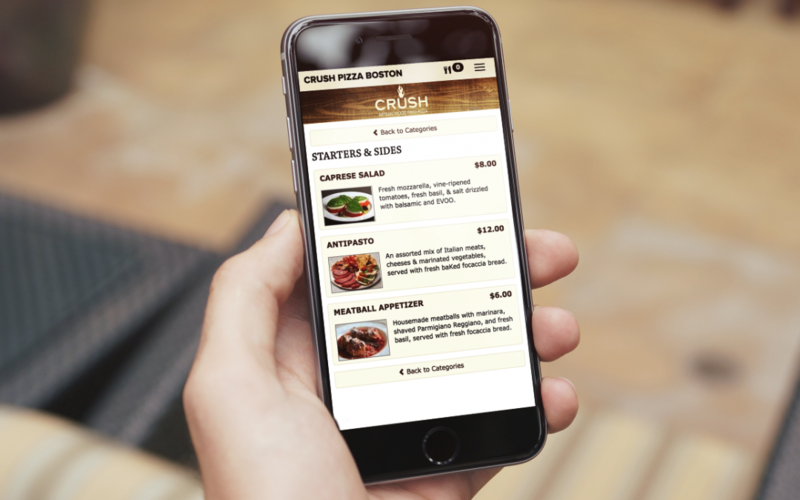 May 17, 2017 // Los Angeles, California – New and exciting advances in technology have yielded another exciting opportunity for restaurants to deliver an even more powerful online ordering experience to their customers. For years, many restaurants have been unable to take advantage of the convenience and exposure of mobile apps because of high development costs and complexity. Today, NetWaiter presents a new opportunity for restaurants to deliver value to customers: customized Progressive Web Apps. Now NetWaiter brings a full, comprehensive experience for restaurants across both websites and mobile device applications. Through a customized Progressive Web App, restaurants can take advantage of a new way to cater to the needs of their customers with the best advantages of web and native apps. With NetWaiter, every restaurant receives control of their very own individual app. The app is branded according to the restaurant’s preferences, using the site design controls inside their NetWaiter Management Console. Restaurants can upload their own logo for the app icon (which is precious real estate on customers’ home screens), and can customize the appearance of their app and online menu. One of the best capabilities of a restaurant’s Progressive Web App are push notifications. They provide another fantastic way for restaurants to reach out to customers. Got a slow time between lunch and dinner rushes? Blast out a notification to customers, inviting them to stop by for half-price appetizers or drinks. Restaurants can use push notifications to communicate with guests in real-time, across multiple devices. Push notification messages are sent to mobile devices and non-mobile desktops and laptops, reaching out to people on the go and those at their desk. These new marketing benefits also seamlessly integrate into the NetWaiter Broadcast Hub, which restaurants can use to simultaneously post messages to Facebook, Twitter, their individual NetWaiter site, and across the NetWaiter Network. That is a whole lot of reach with minimal effort on the part of restaurant owners! Another major benefit – there is no need to download the app from an App Store, nor is there any need to install updates. Many consumers now suffer from ‘App-Fatigue’ and don’t want to visit an App Store to download yet another app. On top of this, storage space for users is increasingly more important as they prefer to fill up memory with photos vs. bulky apps. Progressive Web Apps are proven to be significantly more efficient and lightweight, meaning customers will thank you for not forcing them to download anything from an App Store! For restaurants, the benefits don’t end there. Along with a huge savings in app maintenance costs and development time, businesses can provide an ordering experience with fewer clicks and create a seamless inter-app experience. Instant load means busy, attention-and-time-deficit consumers can complete an order without getting distracted. No App Store download and means fewer users churn out of completion (studies show that each additional click in getting an app to complete an action results in a 20% drop off). The app simply installs when a user visits a restaurant’s customized NetWaiter site. Progressive Web Apps are fast and secure, which fosters trust and credibility with customers. Designs and displays are responsive to every device, which means your customer’s ordering experience will be consistent and beautiful. The app is added to the phone’s home screen, which we cannot overstate as one of the most valuable and profitable placements a brand can obtain. Offline benefits can show customers specific info about a restaurant’s location when the customer doesn’t have internet access. Access to NetWaiter’s restaurant online ordering system is exceptionally easy because orders can be placed directly within a customer’s app. More capabilities mean more ways to foster relationships with customers, and more opportunities to add to your bottom line. Early adopting restaurants would be wise to take advantage of this competitive differentiator, and begin actively shaping the relationship with their customers. Get your own online food ordering app and restaurant marketing system today! To learn more, please visit www.netwaiter.net, or call (866) 638-9248.